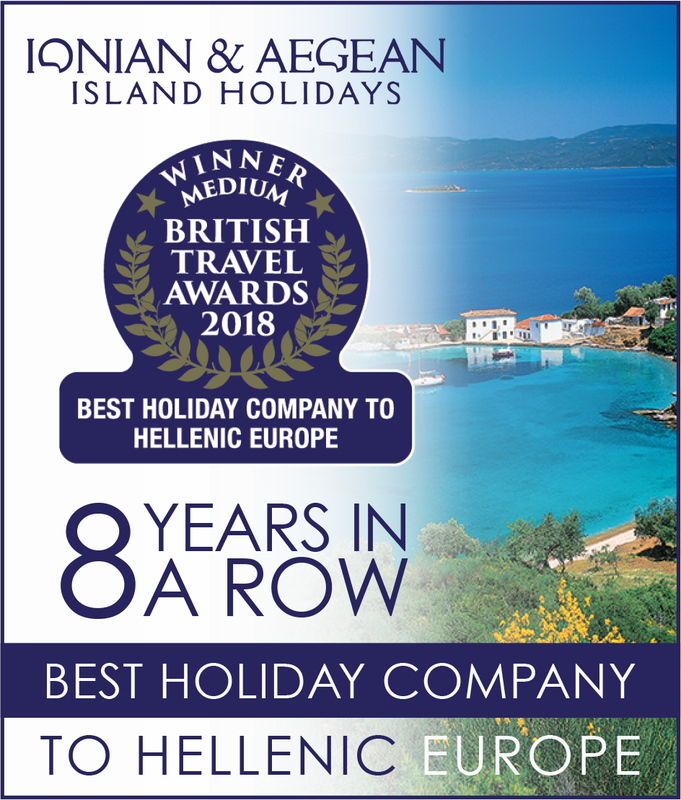 We are delighted to have been voted "Best Holiday Company to Hellenic Europe" as well as winning silver for the "Best Villa Holiday Company" in our respective categories. We have been winning awards for eight consecutive years from 2011 to 2018. Plus, we offer an additional 10% off for under 16's on most holidays! Our team of experienced and knowledgeable advisers are here to make your holiday to the Greek islands memorable - and for the right reasons! Until the British occupiers in the 19th Century built the extraordinary road between the mountains and the spectacular sea cliffs of the northwest coast of Kefalonia, the Erissos peninsula in was only accessible from Argostoli by sea or by an arduous journey on horseback. The scattered, isolated settlements and villages such as Manganos, Vigli, even Fiskardo itself maintained a way of life that had changed little since the arrival of the Venetians many centuries earlier. The inhabitants always built in the elegant Venetian style, and even today echoes of that graceful architectural heritage can often be found in newly built houses, such as the Villa Kamini. The setting, amongst olives and almond trees, and a vineyard in front is secluded but the piece de resistance is the view. Across natural oak forest to the wide bay beyond containing the awesome headland of Assos and Cape Atheras, where recent archaeological discoveries have uncovered strong historical evidence of links to the famous Odysseus. Naturally the villa has been designed to maximize both the extraordinary setting and its stylish Venetian heritage. Built on one level, the two bedroom villa has a master double with en suite bathroom, and the twin with separate shower and toilet. The open plan dining/living room is beautifully furnished and incorporates a fully fitted modern kitchen opening onto the terrace overlooking the pool, colourful gardens and that stunning view. For those evenings at home watching the sun set over the sea, there is an excellent barbecue and seating area perfect for alfresco living. A real sense of seclusion and privacy surrounds the villa, but the remoteness is just an atmosphere these days as the cosmopolitan and welcoming harbour village of Fiskardo is only a ten minute drive away, whilst the recently improved main highway based on the original road, though well out of sight and sound provides quick and easy access to the island capital of Argostoli and the rest of this uniquely varied island. For your protection and total peace of mind, all of our holidays that include flights are fully protected through our Air Travel Organiser's Licence (ATOL) number 5853.